Who does not like their tea piping hot? A lot of us cannot start the day without sipping into the hot beverage. If the findings of the latest study are to be believed, drinking piping hot tea may increase the risk of esophageal cancer. According to the findings published in the International Journal of Cancer, the risk of cancer more than doubled among those who regularly drank tea at 75 degrees Celsius. For the study, the researchers studied 50,045 individuals aged 40 to 75 years. 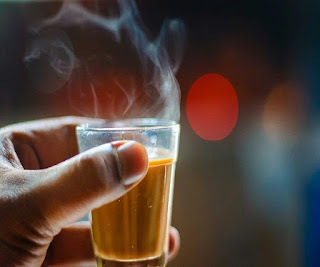 Drinking 700 ml per day of tea or more at a higher temperature (60 degrees Celsius or higher) was associated with a 90 per cent higher risk of esophageal cancer, the researchers said. The results could also be extended to coffee, hot chocolate or other hot beverages, the team revealed. So should you drop your cup altogether? Not really. The findings stated that waiting for at least four minutes before drinking a cup of freshly boiled tea may help reduce the risk of cancer associated with the oesophagus. Oesophagus is the food pipe that runs between the throat and the stomach. A part of alimentary canal, oesophagus forms a crucial role in transporting what you ingest to your stomach and digestion. Esophageal cancer is the sixth most common cancer in India and the eighth most globally. It affects more men than women. In 2016, the World Health Organisation (WHO) had warned of the cancer risk associated with drinks above 65 degrees Celsius. The scientists also said that scalding water may irritate the inner lining of the mouth and throat which could trigger tumours.